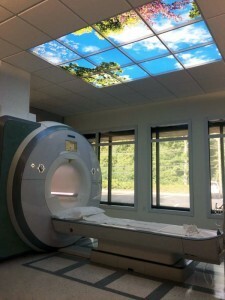 Magnetic Resonance Imaging (MRI) is a non invasive imaging technique that uses radio waves, a strong magnetic field, and a computer to provide clear and detailed pictures of internal organs and tissues without the use of radiation or radioactive substances of any kind. With incredible accuracy, MRI can detect many abnormalities which CT scanning and X-rays cannot, especially those involving soft tissue. In fact, MRI reduces the need for biopsies, exploratory surgery and other diagnostic procedures, which carry associated risks. MRI is a totally painless procedure with no known side effects. At Princeton Radiology we don’t believe in a “one-size-fits-all” MRI. That’s why we offer short-bore, wide-bore, quiet and extremity MRI units of varying magnetic strengths for comprehensive diagnostic applications and maximum patient comfort. 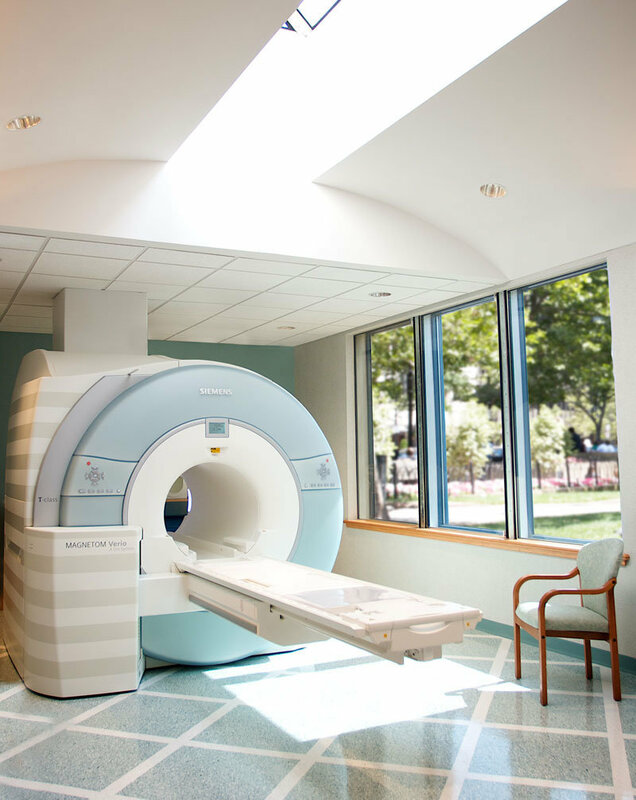 WHAT TYPES OF MRIS DOES PRINCETON RADIOLOGY HAVE? Non-claustrophobic MRI imaging of the joints of your arm or leg. 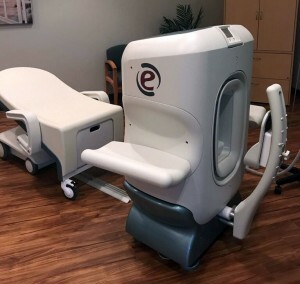 The scan is performed with only the injured arm or leg in the machine, while the rest of your body relaxes outside the unit on a comfortable, reclining chair. If you need an MRI of your hand, wrist, elbow, knee, foot or ankle ask for our extremity MRI. Short-bore MRIs can target specific areas of anatomy for scanning so that less of the patient’s body is inside the machine. Wide-bore MRIs provide a spacious exam experience with even more diagnostic applications, such as high resolution images of the prostate (without endorectal coil), breast, or brain. 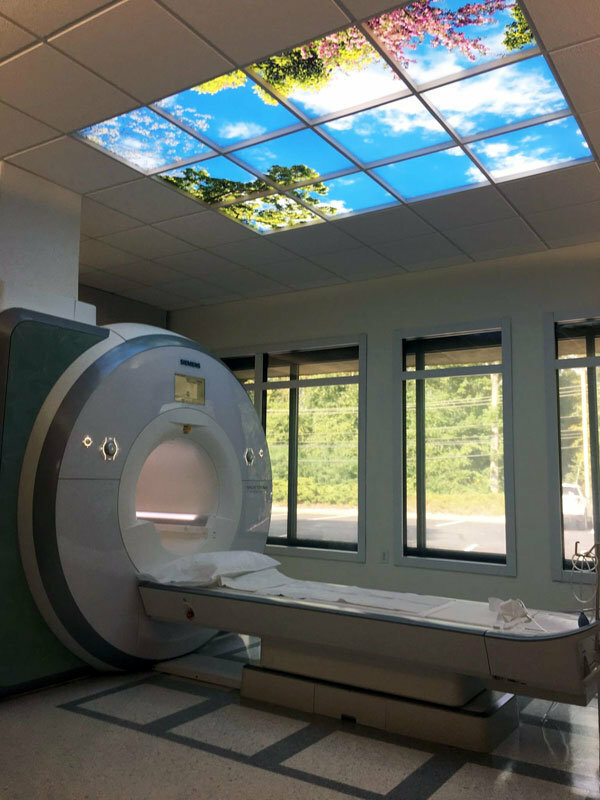 The latest advance in MRI technology offers patients up to 97% reduction in scanner noise for a less stressful exam without compromising image quality or scan time. Equipped with BLADE image reconstruction technology to adjust for image distortion due to patient motion, and WARP technology to adjust for image artifacts from metallic implants. Some exams require a stronger magnetic field for the highest possible detail. 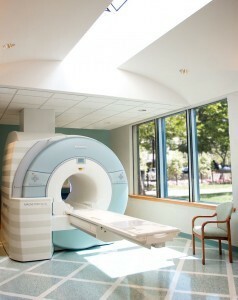 Princeton Radiology has MRI units of varying magnetic strengths, including maximum strength 3 Tesla (T) MRI. During the examination you will not feel anything unusual. You will, however, hear a repeated drum-like knocking sound as the scans are recorded. You will be given the option to listen to satellite radio during your scan to make you more comfortable. Hearing protection will be provided to those patients who do not wish to listen to music. You can help to produce high quality images by lying still during the examination while breathing normally. The average scan takes 5 to 15 minutes – the complete examination about 30 to 45 minutes.